A featured look at the 2012 TL, highlighting the premium 8-speaker sound system with iPod integration and 305-horsepower engine. 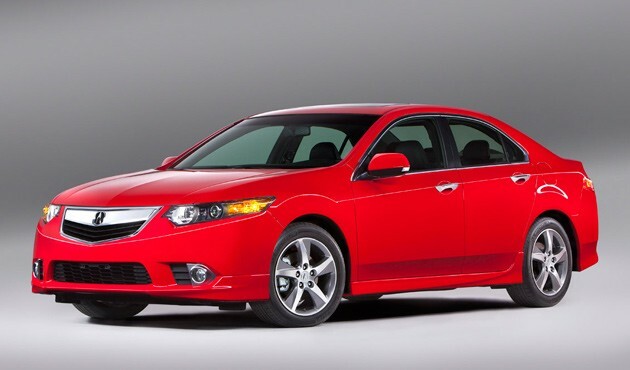 Acura has decided to spice up its entry-level TSX sedan, and this, the 2012 Special Edition, is the end result. No, there isn't any more power on tap, but some styling tweaks do give the TSX a sportier look. A more aggressive front spoiler and rear fascia lend an air of extra sportiness, and compliment the updated side sill. New 17-inch alloy wheels now feature a polished finish with a dark gray background.